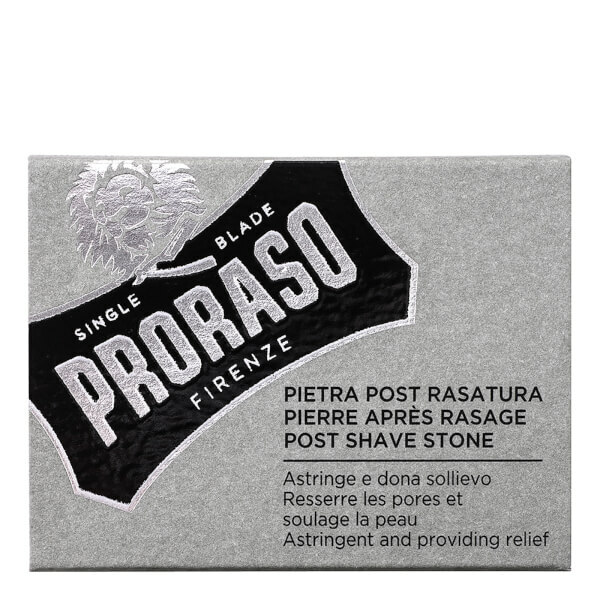 Achieve a professional shave at home with the Proraso Alum Block, a post-shave stone that soothes and tones the skin. Formulated with exfoliating potassium, the aftershave treatment can be gently rubbed over the skin to help reduce redness, razor burn and irritation, and to refine the complexion by buffing away any dead skin and impurities. Can also be used as a natural deodorant. After shaving, rinse the face and gently rub the stone over the skin. Leave for a few seconds before rinsing with warm water and applying an After Shave Balm. Dry the stone after use to maximise its lifespan.